cheese in the Czech Republic. 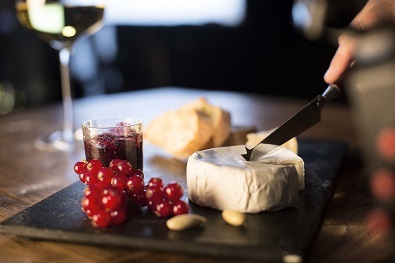 In 1920s the fame of French camembert got to Czechoslovakia. Local famers in a small village of Přibyslav decided to found a new dairy with camembert production. And in the very same dairy, Král Sýrů is produced now – of course with modern expert technology. Over the years, the taste of cheese was adapted to local conditions and after World War II, Hermelin got its name. The word “hermelin” means “ermine“ in Czech – because the white mould on the cheese looks similar to ermine on kings‘ coats. 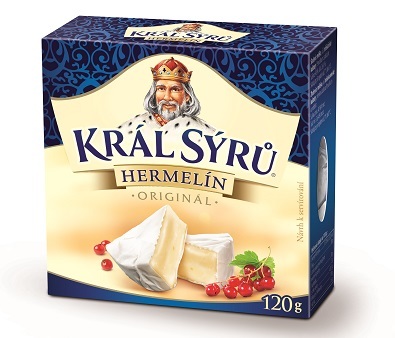 In 1990’s the king himself got to the pack design to symbolize the cheese superiority and eventually, the brand Král Sýrů (meaning King of Cheese) was born. Král Sýrů exploits 90 years of expertise and brings new tastes of soft cheese to Czech and Slovak consumers: hermelin with seasoning, more creamy hermelin, lactic cheese with double texture or more tasty ripened cheese. Medve cheese is made of carefully selected quality ingredients. Medve owes its especially fine cheesy taste to the good emmental cheese in its recipe. It can be enjoyed alone or with bread and can also be used for cooking.